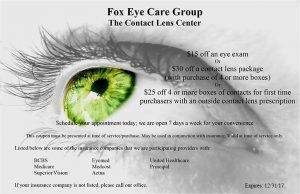 It’s the new way to get your eyes checked at our Greensboro optometry locations. Clarifye pinpoints your prescription and gives your doctor a new level of specific detail, all digitally. 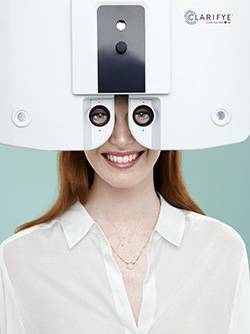 Your eye exam just got easier. You know the old way with those dreaded test lens questions, “Which is better? One, or two?” And you think, “This must be important. What if I get it wrong? Wait! Let me see number one again!” Seriously, is this still how we do eye exams, by trial and error? 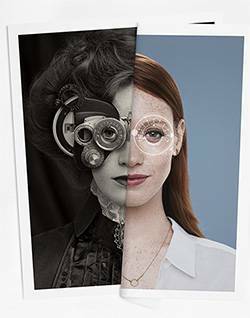 Using the digital results from Clarifye, our Raleigh eye doctors can demonstrate different lens benefits, best suited for your eyes and your lifestyle. Your optometrist can even send you a secure email with your personalized Clarifye prescription, along with any recommendations, relevant videos, and eye health images for you to keep for your records. Clarifye’s exam is so detailed, every step is made just for you. Convenience – Now available at our contact lens centers near you. Experience a whole new eye exam with the ease and convenience of Clarifye—available now at Fox Eye Care optometrists in Greensboro, NC.